Individually tested at 10,000V and guaranteed safe at 1,000V (EN60900:2012). Anti-cam out Lasertip tips bite into screwheads, and along with the patented Kraftform handle, increase power transmission. 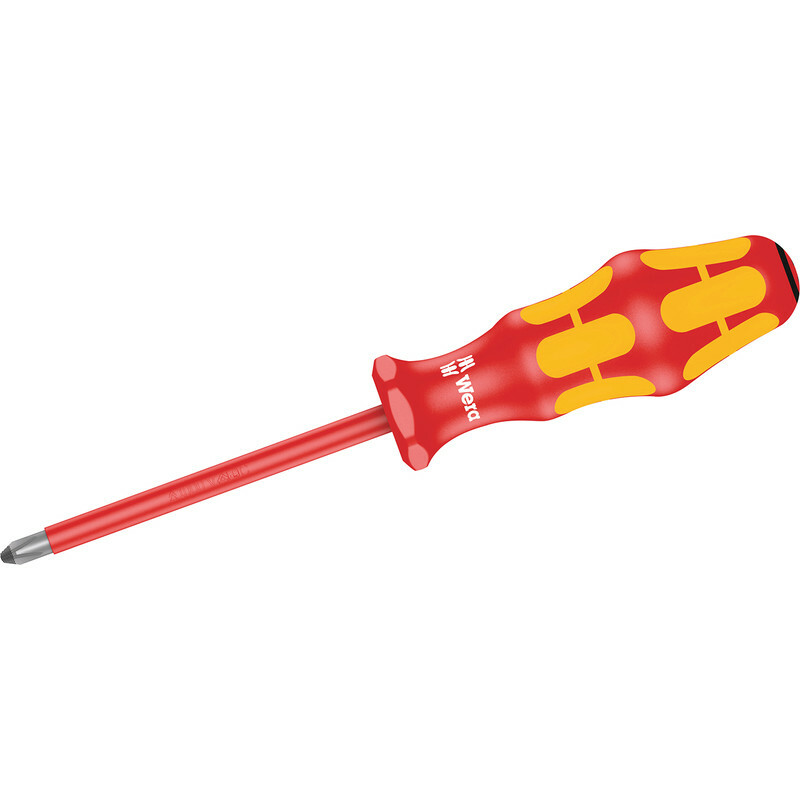 Wera Kraftform Plus Lasertip VDE Screwdriver PZ 2 x 100mm is rated 5.0 out of 5 by 4. Rated 5 out of 5 by Threes up from Perfect PZ 1 screwdriver Recently purchased to replace one lost down the back of a cupboard. Identical model so wil last the distance until i lose it. Rated 5 out of 5 by Pricey from Always use these Bought to replace another lost one, great handle grip, good bite into screws, I've never broken one of these good quality. Good price, good service as usual. Rated 5 out of 5 by Squiff from The best that I've found This is my favourite brand of screwdriver. Very well designed for comfortable and rapid use. The tips are far superior to cheaper drivers. A reasonable price for a good product.